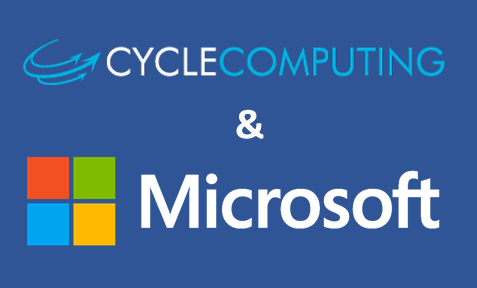 Microsoft acquired Cycle Computing, a leader in cloud computing orchestration, to help make it easier than ever for customers to use High-Performance Computing (HPC) and other Big Computing capabilities in the cloud. The cloud is quickly changing the world of Big Compute, giving customers the on-demand power and infrastructure necessary to run massive workloads at scale without the overhead. Your compute power is no longer measured or limited by the square footage of your data center. Azure has a massive global footprint and, more than any other major cloud provider. It also has powerful infrastructure, InfiniBand support for fast networking and state-of-the-art GPU capabilities. Combining the most specialized Big Compute infrastructure available in the public cloud with Cycle Computing’s technology and years of experience with the world’s largest supercomputers, we open up many new possibilities. Most importantly, Cycle Computing will help customers accelerate their movement to the cloud, and make it easy to take advantage of the most performant and compliant infrastructure available in the public cloud today. Business Insider thought the announcement was a pretty big deal. Read below to understand why.